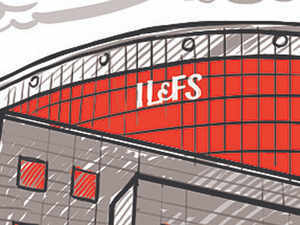 The new management of the IL&FS is considering assets sales to bail out the company from its financial mess and pay back to its lenders over Rs 90,000 crore. NCLAT also directed IL&FS to submit all details of the arbitration proceedings going against it and its 348 group companies. NEW DELHI: The National Company Law Appellate Tribunal (NCLAT) Friday suggested that all further proceedings for transfer of assets of crisis-hit Infrastructure Leasing and Financial Services Ltd (IL&FS) should take place under the supervision of a retired Supreme Court judge. "As it appears that a process required to be followed, similar to corporate insolvency resolution process, for the purpose of proper resolution of IL&FS and its subsidiaries," said a two judge bench headed by Justice S J Mukhopadhaya. It further added that in such a case, a Committee of Creditors may be required to be formed for determining liability, feasibility and financial matrix for resolution plan for one or other assets. "Appellate Tribunal will suggest to government and IL&FS to get matter supervised by a retired SC Judge," the bench added. "IL&FS will provide details of all arbitral proceeding against it and its 348 subsidiaries. We observe that proceeding, if any pending before IL&FS or its 348 subsidiaries may proceed with claims and counter claims," it said. NCLAT directed to list the matter on January 28 for next hearing, when it would hear the matter of granting moratorium to IL&FS and group companies. The appellate tribunal was hearing a petition filed by the Ministry of Corporate Affairs (MCA) and IL&FS. Earlier, passing an order on January 1, 2019, NCLT had permitted the government to reopen and recast the accounts of IL&FS and its subsidiaries, IL&FS Transportation Network Ltd and IL&FS Financial Services, for the past five years. On October 15, NCLAT had stayed all proceedings against IL&FS group and its 348 firms till its further order, over an urgent petition moved by the government. MCA had approached the appellate tribunal after the Mumbai bench of national company law tribunal (NCLT) turned down its plea to grant 90-day moratorium. This matter is scheduled to be heard on January 28 for hearing. The NCLT had on October 1, suspended the board of IL&FS on government's plea and authorised reconstitution of the board by appointing seven directors two days later.